All, as well as being a music player, is capable of connecting to the Gnutella network to search for music, so you'll always have new music to listen to. 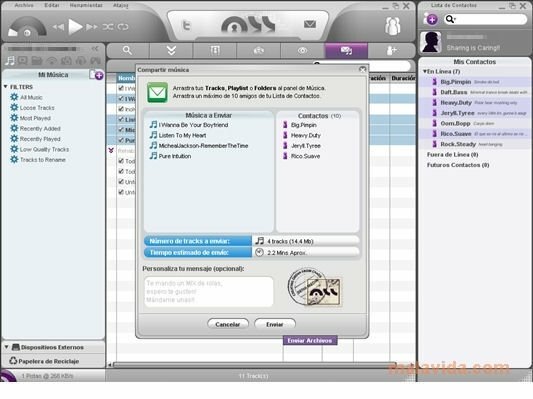 Although it's still under development, this software combines the possibility to download and play music files with the chance to share these contents via social networks. Under a very appealing interface, All allows you to share your collection or playlists with your friends. 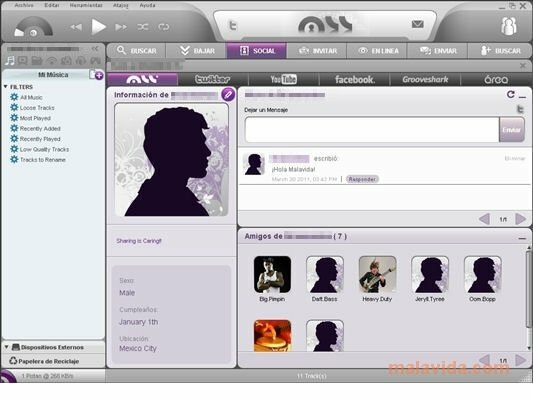 As if it were yet another social network, it allows you to write comments on your wall and keep in touch with your friends as well as sending them music. Furthermore, it offers you the chance to import your contacts' addresses from any Hotmail, Yahoo or Gmail account. 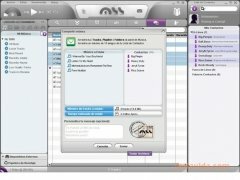 A program to share music. You can also access any Facebook or Twitter account directly without having to open the browser, at the same time that it offers the chance to watch any YouTube or Grooveshark video. Moreover, importing and exporting your music to and from other devices won't be a problem.Very few times do we come across products as complete as the latter. Download it to search and find thousands of files, download your favorite music in a second, play it and share it with your friends. Requires an Internet connection to complete the installation and to use the majority of its functions. For the Benefit of All, A.C.